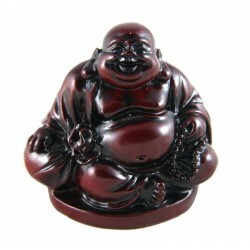 The Laughing Buddha is also known as Budai Buddha, Buddha of Happiness or Matreiya in Buddhism. The Laughing Buddha symbolizes wealth and happiness, just looking at his jolly face will cheer you up. It is believed by rubbing his belly, which is said to contain much wealth will bring good luck and prosperity to all in the home and the bigger his round tummy, the more auspicious. The Laughing Buddha is also known as the Buddha of Wealth, usually depicted carrying wealth symbols such as large Gold nuggets, Coins, Wisdom Pearls and a Sack of Treasures. He sometimes carry a "Wu lou" (gourd), a symbol of good health and longevity or a Fan, a symbol of joy and happiness. 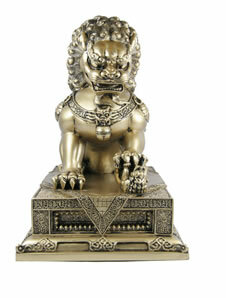 Symbol of : Happiness, Wealth, Luck, Health, Prosperity.